Fall is on its way… along with that comes a change in the produce. 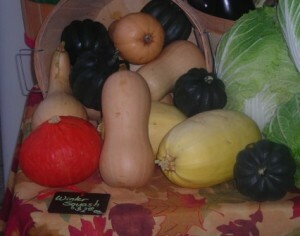 It’s time for all the great fall squashes ~ acorn, butternut, buttercup and spaghetti. Apples are going to be available as well, both Gala and Mutuz. 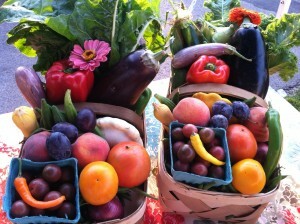 We will begin bringing them this Saturday along with our regular summer produce. We have 1/2 bushels of tomatoes, green beans, and beets if anyone needs some for canning, please let us know and we will be glad to bring them to the market for you.